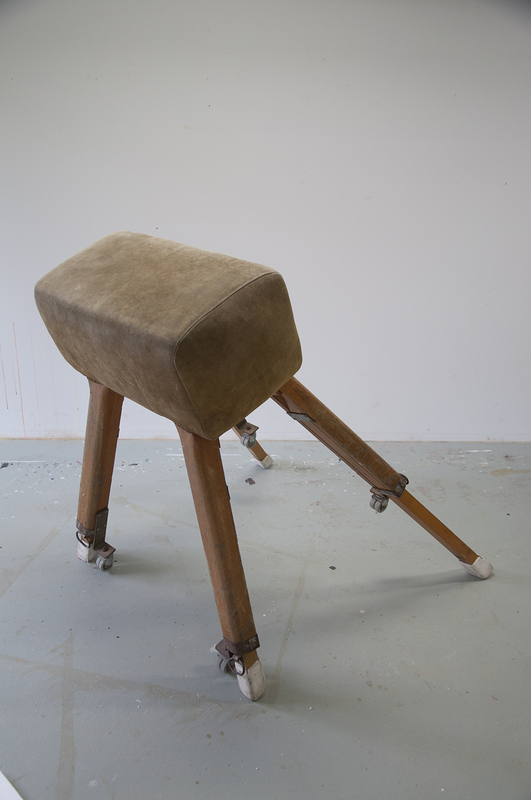 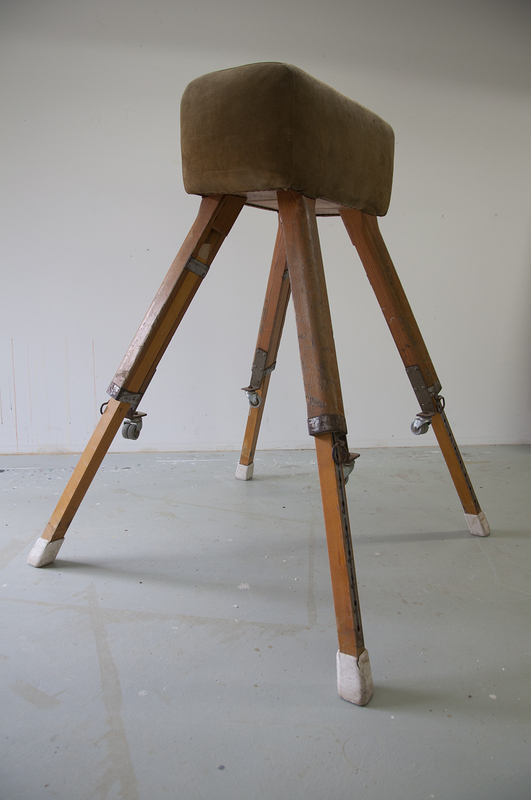 Images 1-4 D’Costa, R 2012, photographic documentation of studio tests with vaulting horse, Fryerstown, Victoria. 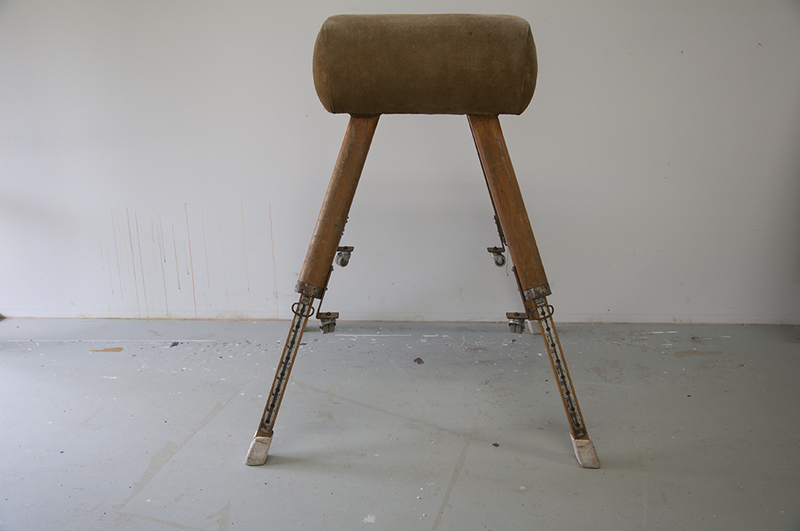 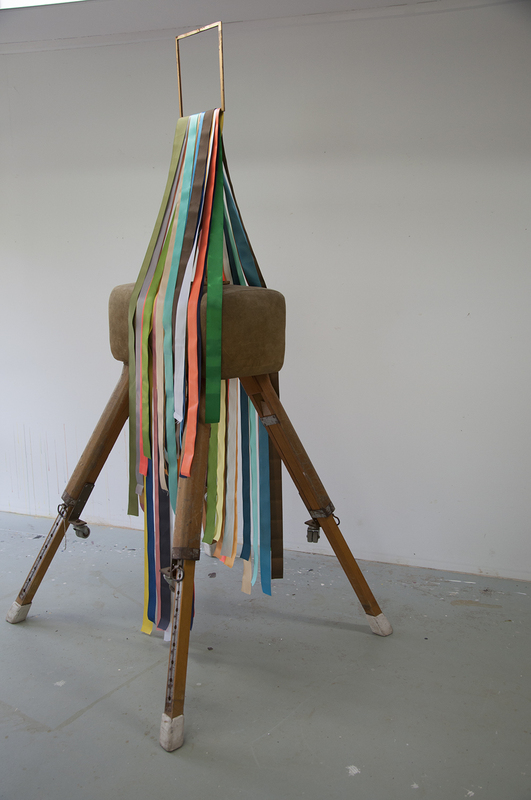 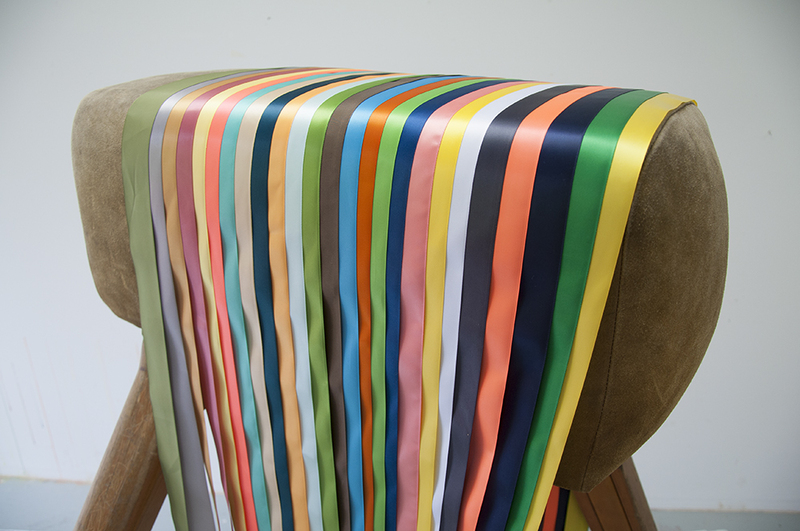 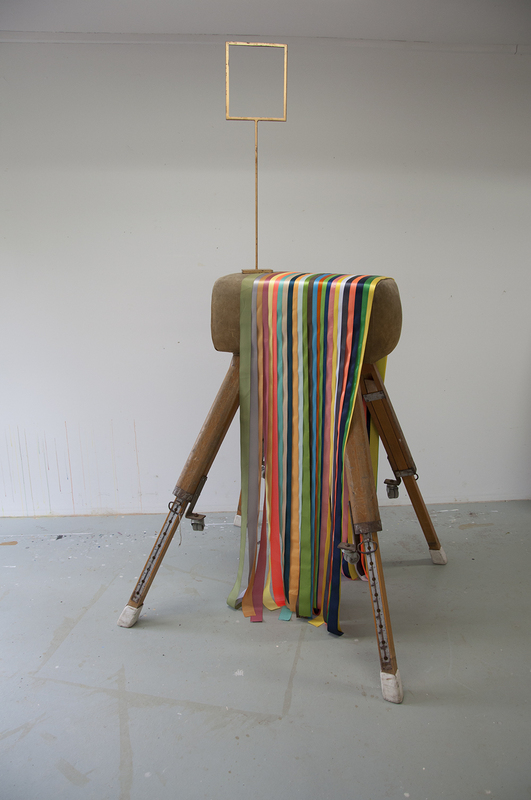 Images 12-19 D’Costa, R 2012, photographic documentation of studio tests with vaulting horse, ribbons and metal stand, Fryerstown, Victoria. 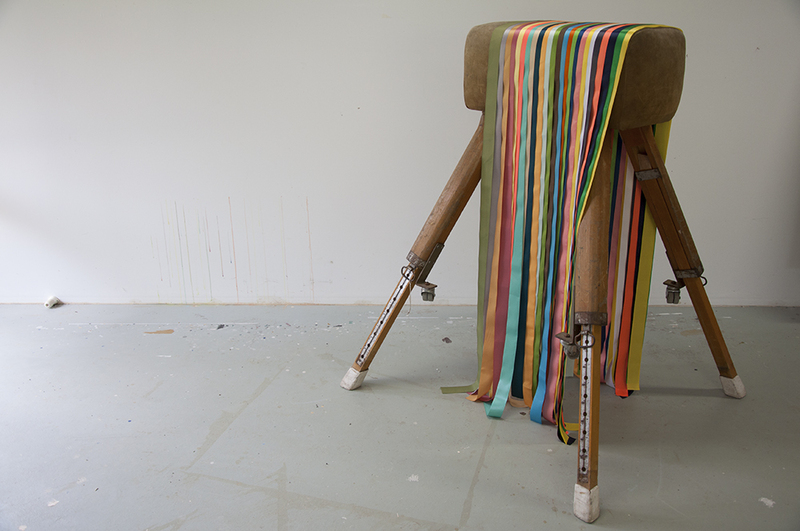 Images 23-25 D’Costa, R 2013, Somersault, [vaulting horse, acrylic text, polyester silk ribbon, framed inkjet digital print; dimensions variable], for Shimmering Spaces Exhibition 3, Monash University, Gippsland, Victoria.